Ziggy Sans is a typeface created by Jace Inman and published by Just Jace. 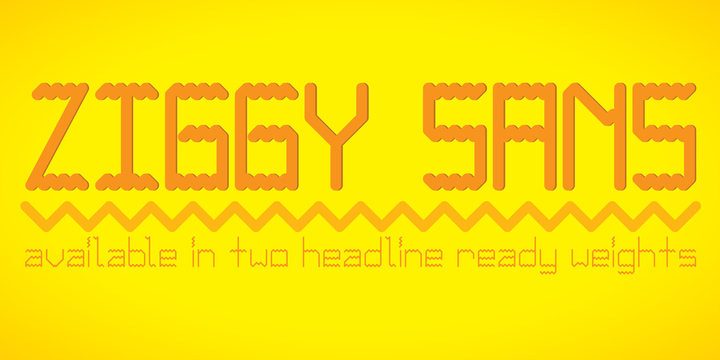 It is a simple font, each letterform is avaible in two headline. A font description published on Friday, December 28th, 2012 in Fonts, Just Jace by Alexandra that has 2,647 views.